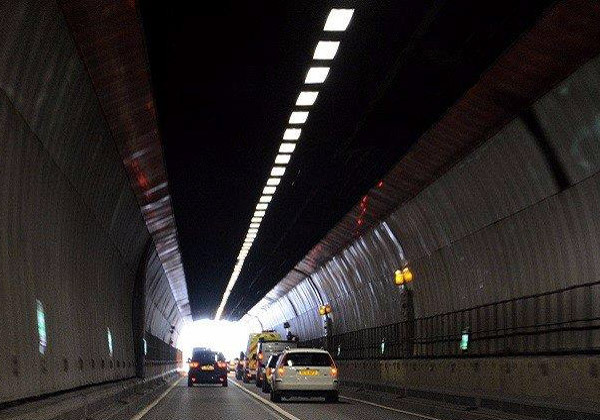 The Dartford-Thurrock River Crossing, commonly known as the Dartford Tunnel, is a major road crossing of the River Thames in England, carrying the A282 road between Dartford in Kent to the south with Thurrock in Essex to the north. It consists of two bored tunnels and the cable-stayed Queen Elizabeth II Bridge. It opened in stages post-completion and has become the busiest estuarial crossing in the United Kingdom, with an average daily use of over 130,000 vehicles. The steel panels inside the tunnel were due to be refurbished in 2015 as a means of upgrading and continually maintaining the tunnel lining. On the rear of each panel which lined the tunnel was a sheet which acted as a backing pad. When the original steel panels were removed, it was found that these backing sheets were indeed asbestos containing panels. A total of 1001 panels had to be removed and fully refurbished with the Resistant Multi-pro to nullify the risk of asbestos. The boards were adhered to the back of the existing steel panels using Ceramix TC Caulking which is a high temperature adhesive sealant. The works were carried out off-site in Mc Nealy-Brown’s workshops nearby Sittingbourne Kent during the day then returned to the tunnel and re-fitted in the evenings to allow for the least disruptive, most efficient method of refurbishment. The contractors chose to use Resistant Standard Multi-Pro board due to its highly regarded attributes such as, non-combustibility, non-hazardous to health (no asbestos), moisture resistance, mould resistance and ease of use. The boards could be scored and snapped to enable the work to be carried out in an effective method and as well as that, providing a great surface for the adhesive to bond the steel panels to. 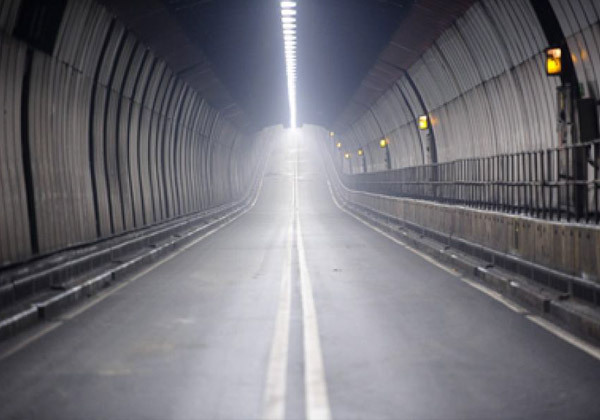 Additionally, in the cold and damp environment that the tunnel would see, the boards pose no risk & still perform optimally in these conditions, making it the perfect all-round choice. London is one of the busiest cities in the UK and with the Dartford Tunnel acting as the single largest estuarial crossing within Great Britain, it was of immediate importance that the works were carried out quickly with no delays or impacts on the usage of the tunnel on a day to day basis. Commuters cross the tunnel in 1000s every day, therefore to minimise disruption, the majority of the work was carried out off-site. The steel sheets were bonded to the Multi-pro boards at an external location, allowing the existing panels in the tunnel to be removed and replaced during the night at unsociable hours when the tunnel is at its least busy. The ability to deliver and bond the boards off-site allowed for an efficient work flow for the project.